What happened when Apple tried to take a bite out of Apple? Last week we tasted the plain goodness of baked apples. This, of course, led to a discussion about what kind of apples are “the best”. Red Delicious? Fuji? Gala? Jonagold? Empire? Cameo? Honeycrisp? Arkansas Black? Orange Pippin? According to the University of Illinois, there are 2,500 varieties of apples are grown in the United States and 7,500 varieties of apples are grown throughout the world. Which means there are probably between 2,500 and 7,500 different opinions on which apple is the best. 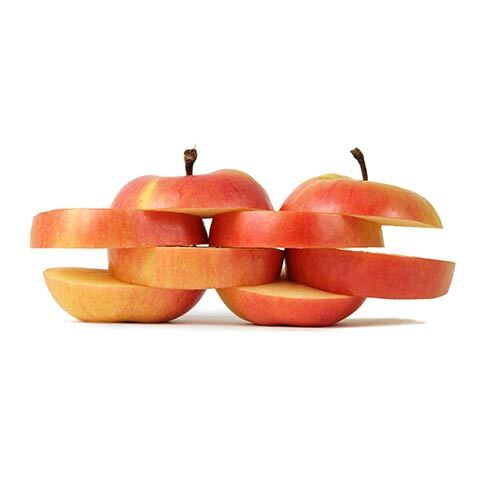 This week we’re talking about an altogether, completely different apple. The kind you shouldn’t try to eat: Apple Computers. No other brand has completely changed the way we live: “the way we work, play, and communicate.” Believe it or not, back in 1996 Apple was considered to be doomed for failing to be innovative enough. Hard to believe the company that gave us the iPod, iPad, iTunes, and iPhone could be accused of such a thing. But that was then, and this is now. 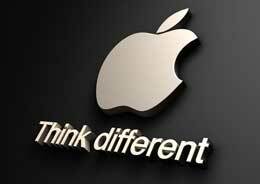 Today Apple Computers has been named as the #1 Best Global Brand valued at $98,316 million. And even a trademark fight with Apple Corps (pronounced Apple Core), the company founded by the Beatles in 1968 to sell records and music. In this last case, the two Apples settled in 1981: Apple Computer agreed not to enter the music business and Apple Corps agreed not to enter the computer business. Years later, Apple Computer developed audio recording technology and a second settlement was reached where while Apple Computer held the right to use Apple on “goods or services … used to reproduce, run, play or otherwise deliver such content”, but not package, sell or distribute physical music materials. 4.3 The parties acknowledge that certain goods and services within the Apple Computer Field of Use are capable of delivering content within the Apple Corps Field of Use. In such case, even though Apple Corps shall have the exclusive right to use or authorize others to use the Apple Corps Marks on or in connection with content within subsection 1.3(i) or (ii) [the Apple Corps catalogue and any future music], Apple Computers [sic] shall have the exclusive right to use or authorize others to use the Apple Computer Marks on or in connection with goods or services within subsection 1.2 [Apple Computer Field of Use] (such as software, hardware or broadcasting services) used to reproduce, run, play or otherwise deliver such content provided it shall not use or authorize others to use the Apple Computer Marks on or in connection with physical media delivering pre-recorded content within subsection 1.3(i) or (ii) (such as a compact disc of the Rolling Stones music). The Judge held Apple Computer’s use was covered under this clause and Apple Corps was to pay Apple Computer’s legal costs. Apple Corps appealed. It wasn’t until 2007, Apple Inc. and Apple Corps announced a settlement of their trademark dispute under which Apple Inc. will own all of the trademarks related to “Apple” and will license certain of those trademarks back to Apple Corps for their continued use. While a trademark co-existence agreement such as the ones between Apple Computer and Apple Corps can—and are—a part of the world we live in, it obviously provides a limited means to protect a business brand. Brands are distinctive identifiers and associated elements that distinguish our products and services from our competitors’ products and services. They add value to our business by enhancing consumer awareness and improving customer loyalty. A large part of a brand is your business trademarks, such as your logo, slogan, and business name. Click here to read more about trademarks. Your business brand can also include copyrights, trade dress, patents, trade secrets and confidential information. Why is Brand Protection Important? Failure to take appropriate steps in any of these areas could jeopardize brand rights and value. If rights are weakened or lost we may not be able to prevent the brand from being used by competitors. Want to learn more? Contact us and ask us for our Brand Protection Mini-Brief to get the details!